Find your perfect fall at these 9 awesome apple orchards—each less than an hour from the city. Note: The hours and rates below are updated as of September 14, 2018. We recommend checking the farms’ individual websites or calling ahead for details on apple varieties and other specifics. Fresh hot cider, crisp juicy apples, and sugary cider doughnuts are all some of the best parts of fall in New England. In the fairytale world of the pick-your-own apple orchard, time moves slower, and everything is a little brighter and happier. Apple-picking season is truly the prime of R&R. However, sometimes planning a trip seems to cost more time and effort than it’s worth. 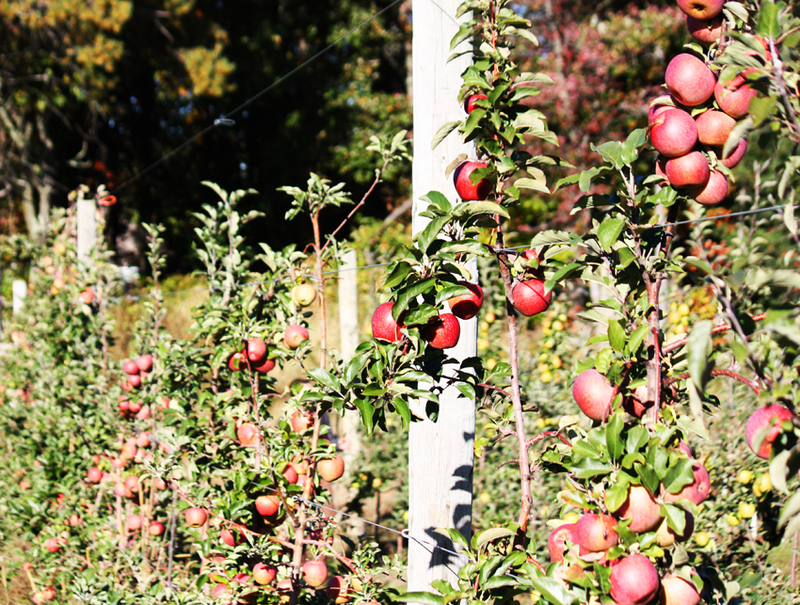 No matter—find your perfect fall with our list of nine apple orchards near Boston. Measured from downtown, all of these apple-picking spots are less than an hour’s drive away from the city, so break out those fuzzy sweaters and cobbler recipes, it’s time for a trip to apple-picking bliss. Below, learn more about each of the 9 farms on our list. 10 a.m.-5 p.m. daily, 89 Pleasant St., South Natick, Massachusetts, 508-651-1539, lookoutfarm.com. One of the oldest working farms in the country, Belkin Family Lookout is a staple in Boston, and the closest to the city. With Asian pears, apples, and pumpkins, your will find plenty to pick here. During the week, families can enjoy a hay pyramid, farm-themed play area, moon bounce, and more (all included in the admission fee). The weekends bring even more delights, with face painting, farm animals, train rides, and more. Over 21? Stop in the taproom. 9 a.m.-4 p.m. daily, 54 Felton St., Peabody, Massachusetts, 978-531-7456, brooksbyfarm.org. In Brooksby’s farm-fresh store, the smell of cider fills the air, with doughnuts and fresh fudge abound. The store also takes on a heartwarming holiday theme throughout the seasons, with fresh pies and baked goods to fill gift baskets. Brooksby is perfect for a relaxing weekend, with barnyard animals and the perfect orchard for your apple-picking needs. 9 a.m.-6 p.m. on Saturdays & Sundays, 98 North Main St., Sherborn, Massachusetts, 508-653-2639, dowseorchards.com. With 200 years of farm production and 60 years with a roadside farm stand, Dowse is definitely a safe bet for good fall fun. Fall at Dowse brings pumpkins, mums, and pick-your-own apples. In the beginning of October, many apple varieties reach their prime at Dowse, specifically Golden and Red Delicious. If your apples are going toward a sweet tooth, grab some Goldens for the perfect pie, or pick some Reds to slice for a salad. Note: We were unable to confirm 2018 prices for Dowse. 8 a.m.-6 p.m. daily, 30 Valley Road, Danvers, Massachusetts, 978-777-1245, connorsfarm.com. Though apple picking is available all week, on weekends Connors Farm can’t be beat for activities. With a corn maze, hayrides, pumpkin tetherball, and more, the weekends have countless family activities available. In previous years in October, Connors has also taken on Halloween, transforming into a haunted farm with a flashlight maze, and Haunted Corn Fields and Zombie Safari Paintball on Friday and Saturday nights. Farm stand 9 a.m.-6 p.m. daily, apple orchard 10 a.m.-5:15 p.m., 1370 Turnpike St., North Andover, Massachusetts, 978-681-8556, bostonhillfarm.com. 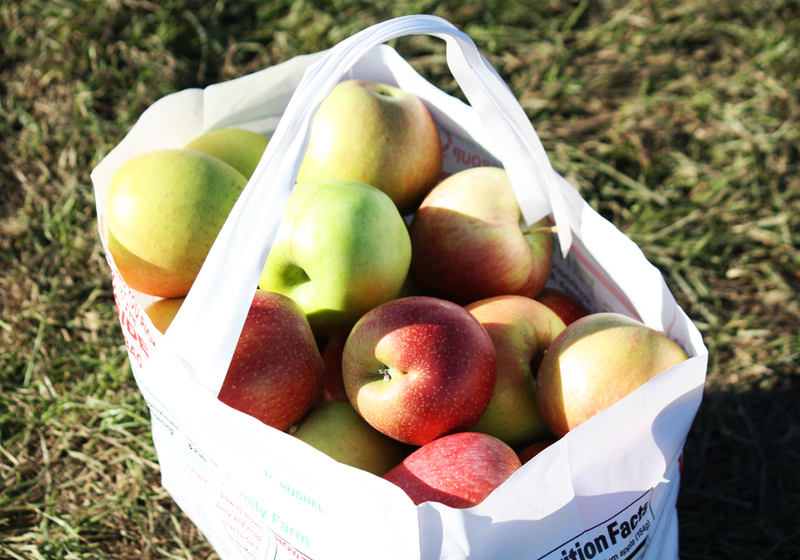 If you are the eat-as-you-go type of apple picker, Boston Hill Farm is the place for you. September and October are prime time at Boston Hill for the Macintosh, Cortland, and Macoun apples, perfect for munching while picking. Along with the standard apple cider doughnuts, Boston Hill’s farm store has less traditional offerings like cinnamon doughnuts and sugar pumpkins (you can pick the real thing in their fields, too). After you’ve picked your fill, grab a scoop of Richardson’s ice cream and go hang out with the bunnies and sheep. And on the weekends, enjoy fall festivals on the weekends that include live music, a barbecue, and a petting zoo. 9 a.m.-6 p.m. daily, 138 Sudbury Road, Stow, Massachusetts, 978-562-5666, honeypothill.com. One of Boston’s premier orchards, Honeypot Hill is known for hayrides, delicious fresh cider and cider doughnuts, caramel apples, and apple pies. The whole family can enjoy the new Big Green Monster Hedge maze. On the weekends, Bosc pears are available for pick-your-own as well. 9 a.m.-5 p.m. daily, 9 a.m.-6 p.m. weekends, 106 W. Acton Road, Stow, Massachusetts, 978-897-9287, shelburnefarm.com. Ready to start decorating for Halloween? Pick the perfect pumpkin at Shelburne for $0.60 per pound, or pick one up from the stand on your way out. On the weekends, a $6 pass gets parents and children into hay and tractor play areas for after-picking fun, or families can enjoy hayride tours of the orchard for the full experience. 7 a.m.-6 p.m. 315 South Bradford St., North Andover, Massachusetts, 978-682-6332, smolakfarms.com. With the most varieties of any farm near Boston, Smolak Farms is the best choice for varied picking. In the Antique Apple Orchard, Smolak Farms grows 20 types of apples, preserving some varieties that are no longer grown commercially, including the Pink Pearl and Sheepnose. The farm has four other orchards, with plenty of unique options for visitors. 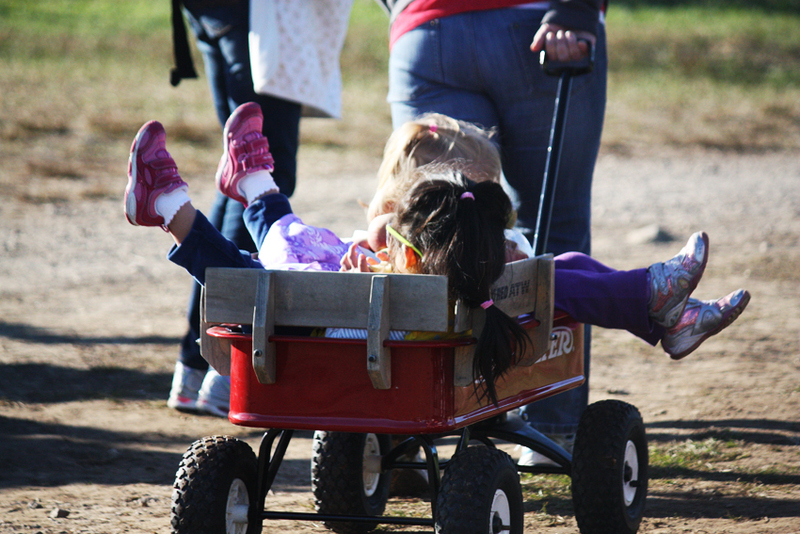 With hayrides, activities, animals, and more, Smolak Farms is an all-around winner. 9 a.m.-5 p.m. Mondays-Saturdays; 12 p.m.-5 p.m. on Sundays, 101 Brookside Ave., Stow, Massachusetts, 978-897-6117, carverhillorchard.com. Price: $18 for one peck, $28 for a half bushel. With summer squash, eggplant, and beans, Carver Hill Orchard offers picking from July to October, but reaches the height of its pick-your-own season with the fall apple and pumpkin selection. Macintosh, Macoun, Honey Crisp, and more apples line the rows at this farm. —By Margaret Burdge, with research by Ellen Cranley. Additional research by Renae Reints, Mary Meisenzahl, and Adam Weddle.